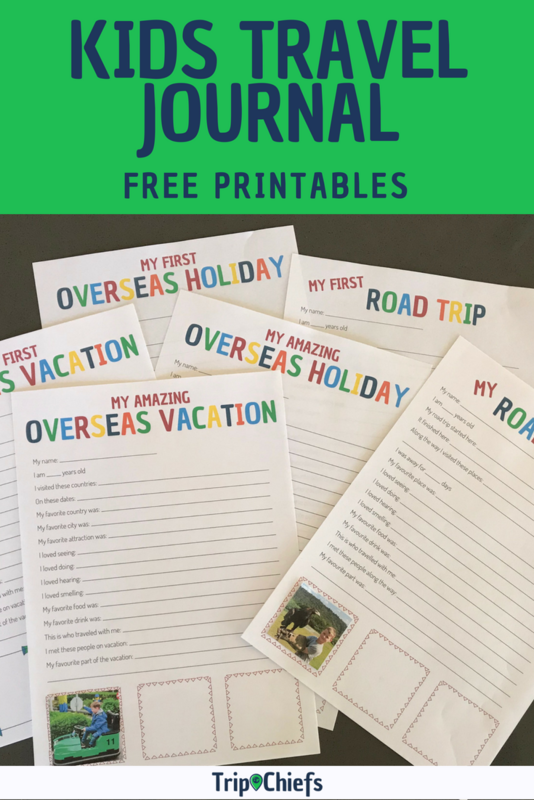 If you’re getting ready to take a trip, then these easy to use free kids travel journal printables are the way to go. Writing down the highlights of your travels is the best way to relive your time away. Photos and videos are brilliant at capturing the moment, but it’s the stories that go with these images that bring your stories to life for years to come. This is especially the case for kids, who may forget a lot of the details without some good prompts. The tough thing with kids is that most of them don’t want to spend every night of their vacation writing down what happened during the day in their travel journal. Every time we have taken a trip with the kids, I have always bought my boys a kids travel journal, and they are usually pretty good writing in it for about a week. After that, it becomes a chore and a battle I’ve learned is not worth the trauma! 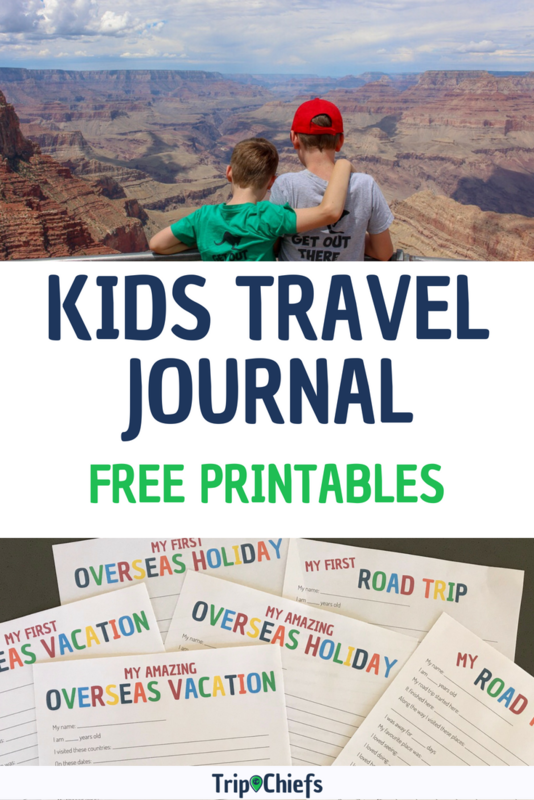 So this got me thinking, what would be the perfect way to capture little kids and reluctant older writers’ memories, without wasting money on buying kids travel journals every trip? Free printable journal pages of course! 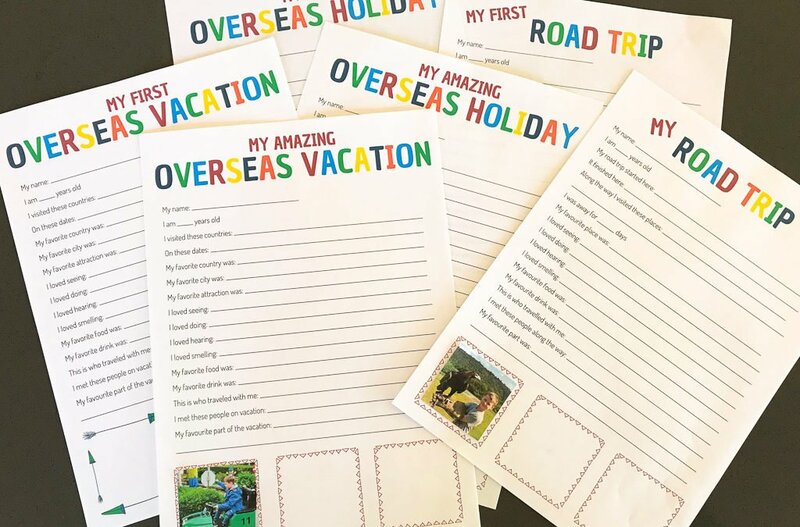 For those of you with kids heading off on their first ever trip overseas or their first ever road trip, we’ve produced a special travel journal printable to commemorate such a big occasion. For everyone else, we have got a journal printable that you can use again and again. Now we’ve kept these kids travel journal printables to one page each, with all the essential questions on them. You can print them out and write in your favourite pens or pencils, stick some photos down the bottom and you’re nearly all done. It’s up to you now, whether you want to print out one for each trip you take and keep them in a folder, laminate them or even frame your kids’ travel journal. If your kids are old enough and love writing in a journal, and will do it most days of a trip, then I think that’s amazing and is something that should be encouraged. Your kids will look back on their journal in years to come with so many stories to tell. 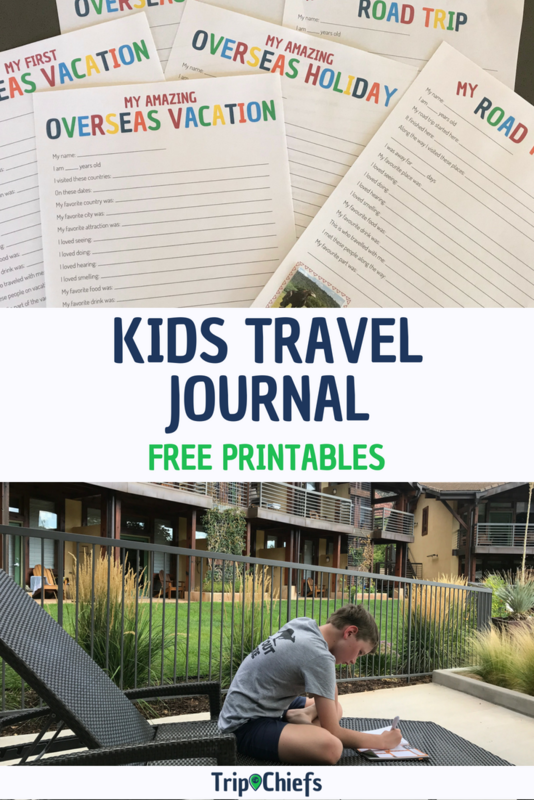 For the little travel journal writer just starting out, I recommend a journal that has starter questions throughout as it makes it so much easier for the kids to fill out. The Lonely Planet’s My Travel Journal for kids is a great one we’ve used before but there are plenty of others on the market as well. For older kids, they are best to use either an adults or kids travel journal, or even a small blank notebook, depending on their age. P.S. You might be wondering why I’ve given you UK and US English versions of these journal printables. The reason is that I believe children should learn to spell the way it is recognised in your country. 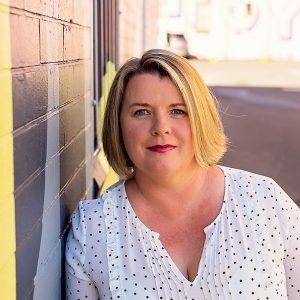 Coming from Australia, I find that so many resources for kids are only in US English which makes it hard for kids learning to spell and write.